DraftKings announced their 2016 Week One Contest schedule, It has something for everyone–believe me–It is a dream come true for every Fantasy Football Junkie…………. The entire 2016 week one schedule on Draftkings has so many options, at different buy-in’s that everyone can enter multiple contests and have a chance to win some really big money on Week One of the NFL Season………. Player salaries are posted for week one, they will not change until the week two contests are posted. You can set a line-up now and edit it up until the week one slate kicks off on Sept. 11th. The $100K Week One Free Contest: 0 entry, $100K GTD, 1st wins $1000, 37,400 cash prizes, every one who doesn’t win a cash prize gets a second chance ticket for a week 2 $10K Free Contest, Join This Free Roll Now. The $200K NFL Nickel: $5 entry, 1st wins $10K, 12670 winners. The $100K NFL Pylon: $3 entry, 1st wins $10K, 7850 winners. The $100K NFL Triple Option: $3 entry, 1st wins $3K, 11750 winners, 3 max entries. The $500K Slant: $9 entry, 1st wins $25K, 19650 winners. The $2.5 Million Sunday Special: $20 entry, 1st wins $250K, 39750 winners. The $100 NFL Safety: $2 entry, 1st wins $2K, 16675 winners. The $200K NFL First Down: $1 entry, 1st wins $5K, 64500 winners. The $25K NFL Daily Dollar: $1 entry, 1st wins $2K, 5860 winners, single entry. The $100K NFL Quarter Arcade: 25¢ entry, 1st wins $2K, 120400 winners. There will be also literally thousands of 2, 3, 5, 10, 20 and 100 team leagues and contests at every buy-in you can think of open as we get closer to Kick-off. These contests will also include double, triple and quintuple ups, standard leagues and numerous qualifiers to future featured NFL contests. Look for more additions to the Week One DraftKings schedule of Contests. There will also be Thursday Sept 8 start contests, Sunday and Monday night primetime contests and Monday night only contests to be posted as we get closer to the opening Kick-offs. All Week One Contests listed here start at 1PM ET on September 11, 2016. NFL games included: All 12PM ET, 3PM ET, 3:25PM ET and the Sunday Night Game on Sept. 11th . 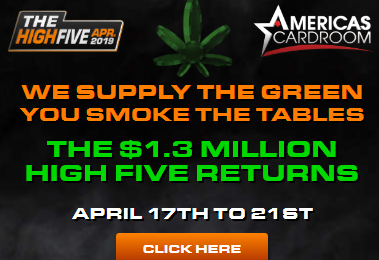 Even Better for all you New Players, If you sign up and deposit now you’ll get a free entry into the $5M Millionaire Maker and entry into the $100K Free Contest, that’s over $5M in FREE prize chances. 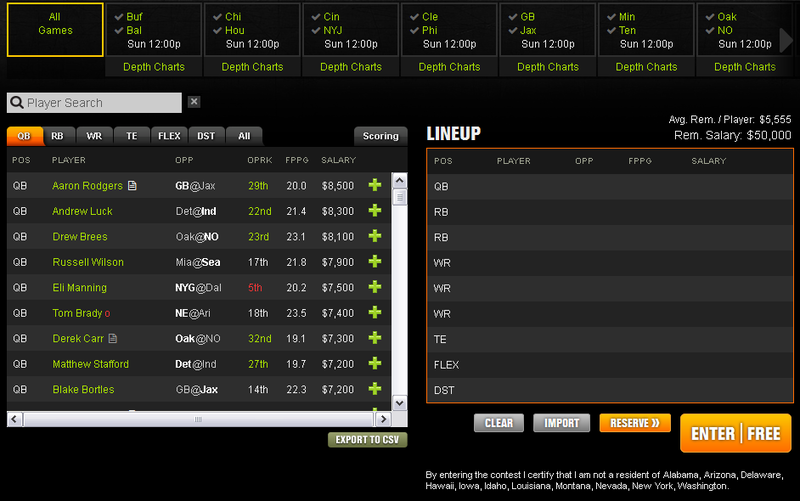 Where can I play on DraftKings this football season?